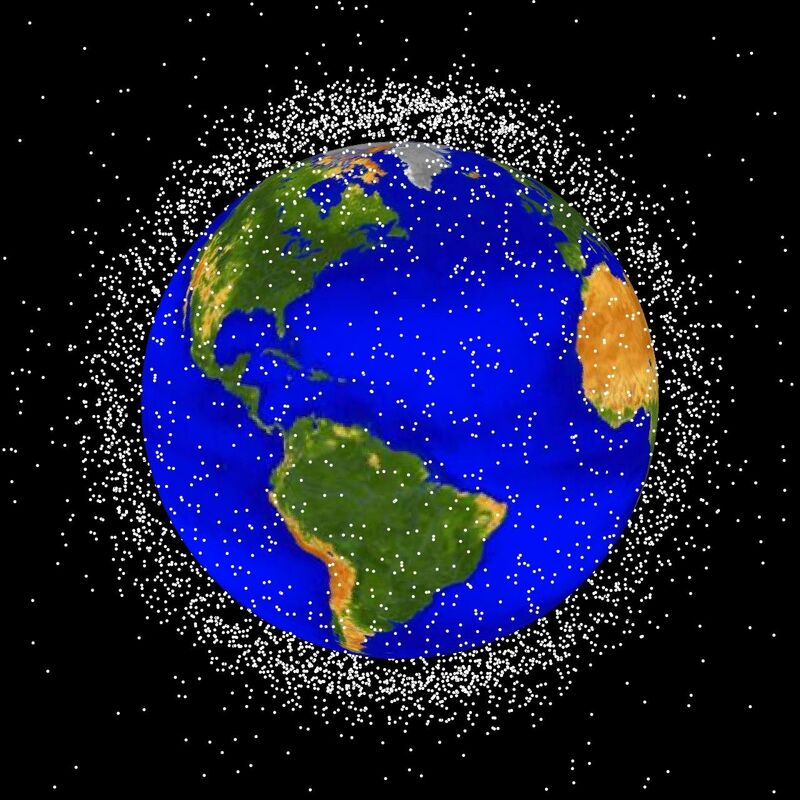 Orbital debris are the left over rockets, satellites and other man-made object left in the near-Earth space by manned space missions. On June 28, 2011, the astronauts at the International space Station (ISS) were asked to take shelter to escape from an approaching piece of debris at a speed of 46000 km/hour (29000 mph). They got on to the two Soyuz spacecraft docked to the station in case they have to leave immediately; the chance of space debris hitting the Soyuz capsule is much smaller. Luckily, the debris passed by the ISS without any incident, but there was a 0.3 percent chance of hitting the space station as it came as close as 250 meters. It is a NASA rule to take precaution if the chance is greater than 1 in 10,000. This was the second incident since the start of the space station, the first one occurs on March 12, 2009 when an old satellite motor piece went past the station. It is estimated that there are more than half a million pieces of debris of all sizes out there in the near-Earth space in the form of pieces of hardware spent rocket stages and dead satellites, and nobody has any solution to getting rid of them. According an estimate of NASA, in every six month period the chance of the space station getting hit by a debris or a micro-meterorite leading to the evacuation of the crew is 1 in 100. NASA Orbital Debris Program Office, funded by the NASA Head Quarters Office of Safety and Mission Assurance, was established in to conduct research on space debris.